Choosing the right holster for your gun is almost as important as choosing the right gun. 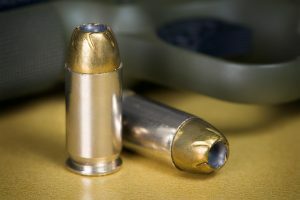 You may have heard horror stories of firearms going off while being holstered and even if you haven’t, no one wants to start in their own gun mismanagement story. 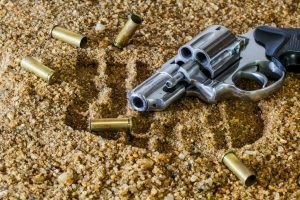 There are several reasons why your holster is essential and preventing the gun from accidentally discharging is just one of them. 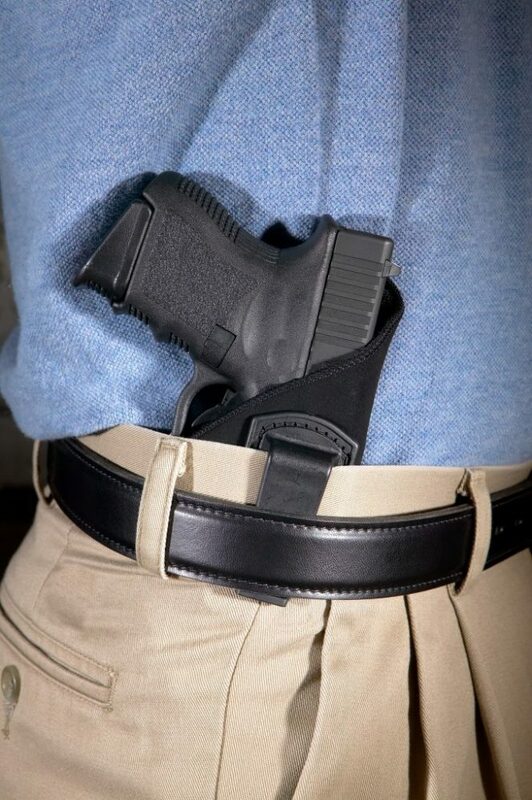 An inside waistband holster (IWB) is one of the most popular ways to conceal and carry your gun. However, you must make sure that you choose one that fits your gun. So, what is the best IWB holster for Glock 43? Concealment, safety, retention, and comfort are all factors that need to be considered before making a decision. Hence, we are going to look at three IWB holsters that are available for your Glock 43. First up comes an IWB holster from fellow firearm enthusiasts, Fierce Defender. Manufactured in the USA, Fierce Defender says that this holster is designed to last you a lifetime and that when you put your firearm on in the morning, it becomes part of you. Sounds like exactly what you want, so let’s look closer. This hard case Kydex holster carries the texture and look of carbon fiber and has a nice slim design, so it conceals well under most clothes. It clips directly onto your belt, so it is easy to take on and off. 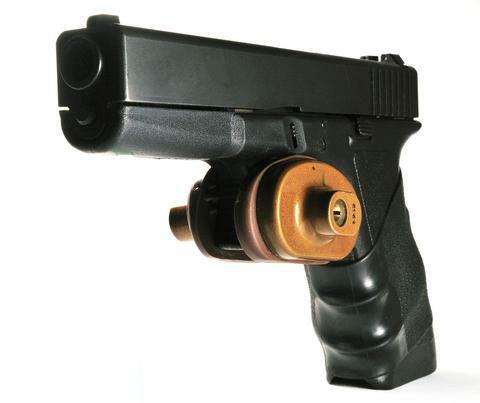 Likewise, it has adjustable retention to ensure the best fit for your firearm. A really nice feature of this holster is that it has adjustable cant (0 to 15 degrees) so that you can choose what position your gun is held in to allow you to comfortably draw and holster your weapon at a personalized angle, while in various positions around the body such as the appendix, hip, side, or back. 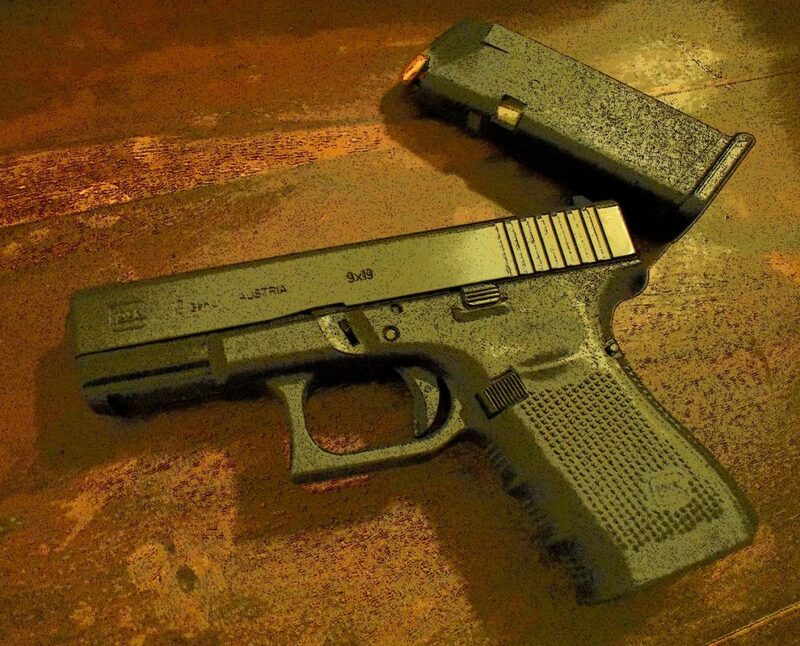 The Kydex material used is durable and molded specifically to your gun, allowing a really smooth draw. 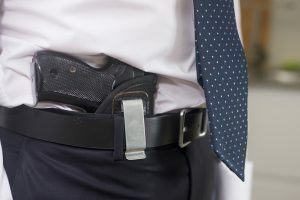 The holster provides great safety by fully covering the trigger as well as covering the backside of your gun to protect your weapon from sweat. Astoundingly, it also comes with a 100-year guarantee against any manufacturer defects, giving you peace of mind for a lifetime. Next up, we have the ComfortTac Belly Band Holster which was the number one best-selling gun holster on Amazon in 2016. Updated for 2017, this holster has a brand-new retention clasp with a patent pending for their new design. The ComfortTac holster is exceptionally versatile as it can be worn with just about any clothing you want. Not being reliant on a belt means that it can be used as an inside-waistband or outside-waistband holster. What is interesting is that it can also be used as a shoulder holster by just wearing it higher up on your chest. This holster suits almost any gun from micro through to full-size pistols and revolvers, which is useful if you have more than one weapon. Additionally, it comes adjustable in five different sizes so that you don’t have lots of unwanted material hanging around if you’re on the smaller side. However, the full belly band will be a lot hotter to wear in the summer months. The brand-new, patent-pending retention clasp allows for easier access from their previous metal clasp version. ComfortTac Belly Band also comes with a handy pocket for carrying an extra clip, a knife, or your phone, which is a nice feature not available on the Fierce Defender holster. Due to customer feedback, as of 2017, the pocket comes rubber lined to stop the extra clip from falling out when getting in and out of the car. 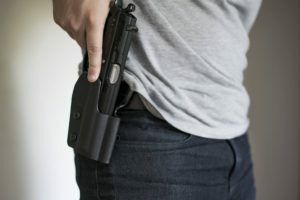 While the design of the holster allows such versatility, it does also mean that holstering your weapon isn’t as easy as with the hard-body holsters since you may need two hands to get your gun back in before shutting the clasp. If you’re not satisfied with the product though, ComfortTac offers you full money-back guarantee for 30 days from the date of purchase. Last up, we have the Covert Appendix System IWB holster from Gunfighters Inc. Founded by a US Army veteran in 2010, they are innovators in the world of holsters due to the founder's desire for more high-quality products, so let’s have a look at their offering. 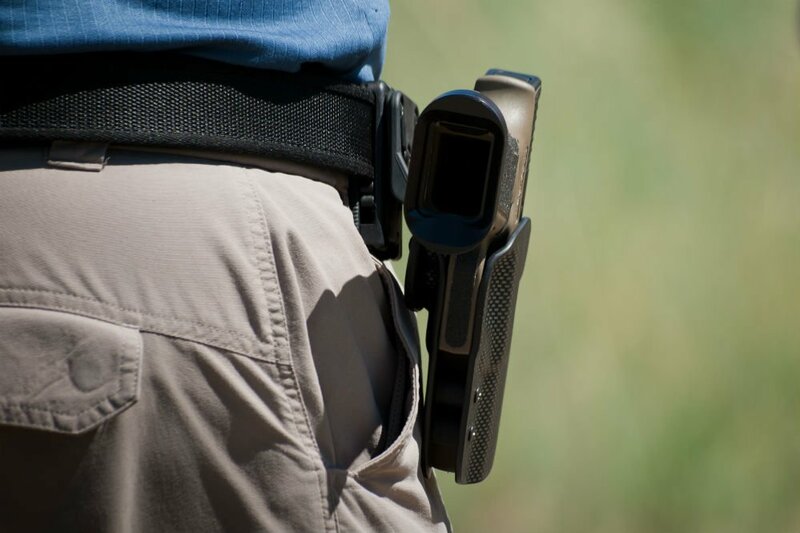 Gunfighters Inc. holster has been designed with simplicity in mind to ensure that you have the most fuss-free unit, with less to go wrong and to keep costs down for themselves and the customer. Having said that, this is still the most expensive holster out of the three. It is a hard-case holster made of Kydex, so it is very durable. This holster also has a space for you to carry an extra magazine in just one piece that clips both your gun and extra ammo to your belt. It has a FOMI belt clip that attaches and detaches easily and gives you a thin profile which is great for concealment under even the lightest weight t-shirts. The design is such that the Kydex material rides higher than your belt for easier holstering and protecting your gun from sweat. 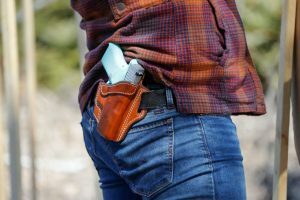 All three of these holsters are really great products, so it’s important that you think about where and why you will mainly be wearing your firearm in order to make the right choice. If you are most concerned about your safety when you go for a run or just want the freedom of being able to wear anything, then the ComfortTac Belly Band is the holster for you. 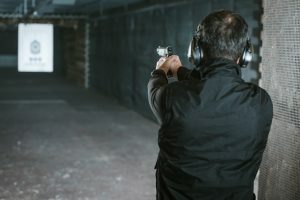 Holstering your weapon isn’t as smooth as with the other two holsters, but you should be able to draw your weapon easily if or when needed after a little practice, which is, of course, more important. The Fierce Defender and Gunfighters Inc. holsters are slightly more traditional, but both attach easily with clips and will offer better safety and draw-or-holster action as well as retention and protection for your gun. The extra ammo pocket on the Gunfighters Inc. holster is handy if you need it, but we prefer the Fierce Defenders holster overall for all the extra adjustable features. When taking the price and 100-year guarantee into consideration as well, the best IWB holster for Glock 43 award goes to Fierce Defender.